November 19, 2014 posted by Len B. 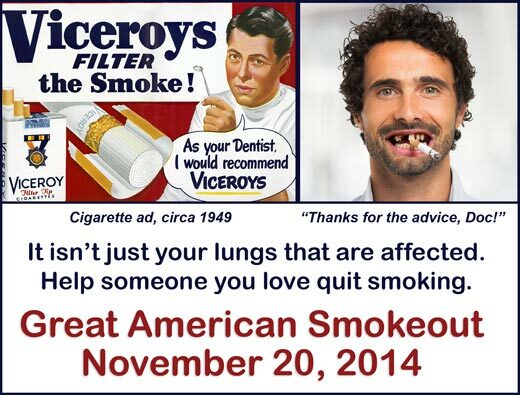 Celebrate the Great American Smokeout by helping to educate your loved ones about the dangers of smoking. September 29, 2014 posted by Len B. When it comes to e-cigarettes, large tobacco companies are suddenly stepping up warnings about their own products, the New York Times reports. Industry experts and critics say the warnings are serving as a legal safeguard, a corporate image-enhancer – or both. June 4, 2013 posted by Len B. 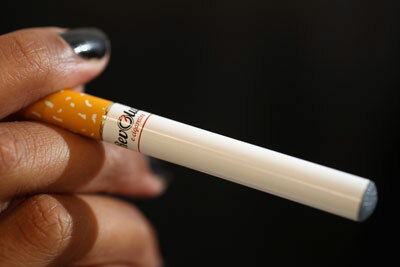 Many people are switching to e-cigarettes thinking they’re the answer to their smoking addictions. As the following video reveals, these electronic solutions are not safe for anybody who already suffers from a compromised breathing condition. In addition, even though the FDA and the World Health Organization have called for them to be thoroughly tested for potential dangers (as any new product that we ingest into our bodies should be,) such testing has yet to be conducted. Therefore, the full range of their effect even on healthy people is not yet known. You are currently browsing the archives for the A Powerful Addiction category.